Partnerships for Forests is supporting the Africa Palm Oil Initiative to realise its vision of a prosperous palm oil industry that balances economic development with social and environmental sustainability, while protecting the rich tropical forests of West and Central Africa. The Africa Palm Oil Initiative (APOI) was formed to develop and support the implementation of principles that guide sustainable and responsible palm oil production in West and Central Africa. The initiative safeguards environmental targets for reduced deforestation, sustainable land use and GHG emissions in a way that is socially beneficial and drives economic development. November 2016 was a defining moment for the APOI, when seven African governments, publicly signed the TFA 2020 Marrakesh Declaration for the Sustainable Development of the Oil Palm Sector in Africa at the UNFCCC’s COP22 in Morocco. The pledge places sustainability, good governance, and recognition of community and human rights at the heart of Africa’s expanding palm oil industry. 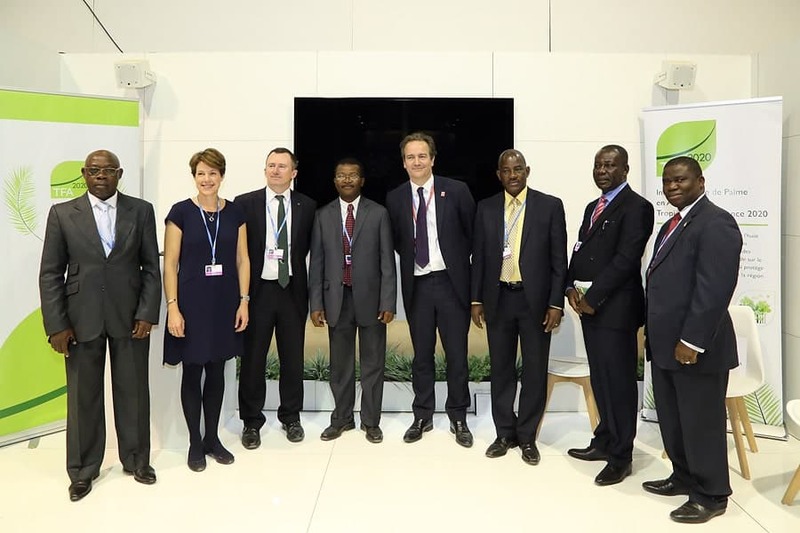 With this pledge representing over 70 percent of Africa’s tropical forest, the APOI needs to ensure agreements are delivered by offering ongoing support and central coordination to capitalise on momentum. The first of the Tropical Forest Alliance (TFA) 2020’s signature Initiatives, APOI brings together partners from the public and private sectors, civil society and community groups from ten palm-oil-producing countries in the region: Cameroon, Central African Republic, Côte d’Ivoire, Democratic Republic of Congo, Gabon, Ghana, Liberia, Nigeria, Republic of Congo, and Sierra Leone. The project seeks to leverage past DFID investments to develop actions for implementation in signatory countries. Partnerships for Forests is supporting the transition of the APOI into implementation phase – moving from agreed national principles and a regional declaration to substantial new investments. promote regional harmony, learning, and monitoring to support the regional palm oil platforms. Every year, the APOI convenes regional meetings to connect its implementing partners in ten countries with stakeholders from around the world. Providing a space to forge connections between the TFA 2020 community in West and Central Africa, to build and strengthen public-private partnerships for sustainable palm oil production in the region, as well as to share experiences and lessons learnt from the APOI process for multi-stakeholder commodity platforms around the world. APOI convened its fifth regional meeting in October 2018. Hosted in Brazzaville, the Republic of Congo. 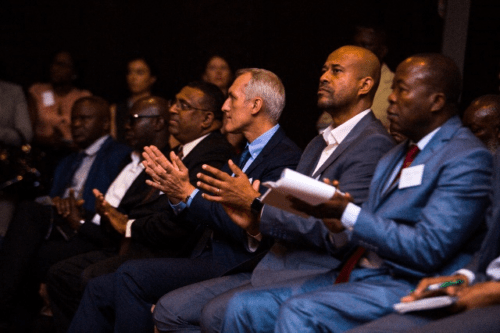 In May 2018, the APOI convened the first Africa Implementation Dialogue. 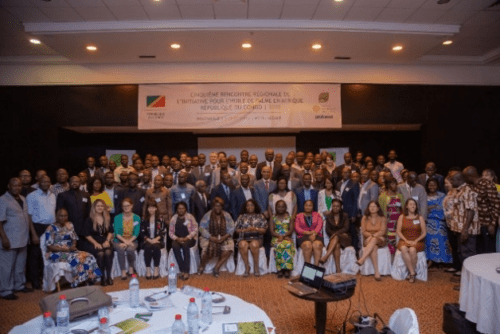 Organised back-to-back with the TFA 2020 General Assembly in Accra, it brought together jurisdictions in Côte d’Ivoire and Ghana with key stakeholders who could provide support in realising their forest conservation plans while responsibly growing their economies. APOI’s fifth regional meeting, October 2018. Using the lessons learnt in Accra, the APOI convened its fifth regional gathering through a series of interwoven meetings between 8-11 October 2018 in Brazzaville, the Republic of Congo. Find out more about the APOI here.